The Fountainhead neighborhood located near Columbia, South Carolina can be found between Blossom Street and Wheat Street in the Shandon area east of the capital city. With this terrific location, residents are not only a few minutes from the center of town, but are also centrally located between three major interstate systems, providing access to almost anywhere in the area, the State or the southeast. Head east of the neighborhood and pick up I-77 with 5 minutes, and pick up I-20 to the north in just minutes or pick up I-26 to the south. I-77 north can have you in Charlotte, North Carolina in less than 2 hours. I-20 puts you on the road to Myrtle Beach, SC or Atlanta, Georgia and I-26 can have you at the beach or the mountains in less than 2 hours. No matter where it is you may wish to go, you can certainly be well on your way living in the Fountainhead neighborhood near Columbia, SC. Homes in the Fountainhead neighborhood are two story condos in a 12 condo complex. Some of the homes here back up to Emily Douglas Park. Homes here range in value on average around $115,000.00 to $130,000.00 and average in size at 1150 square feet. There is a community association which includes a fee to maintain the yards, exterior condo maintenance, sidewalks, roads, sewer, trash, lights, and common areas. Some of the wonderful amenities of the homes besides the location include the community pool, open floor plans, lots of storage, balcony, decks, French doors and walk in closets. If you are looking for a lovely place to live with little outdoor maintenance, this place certainly has a home to suite you. Living in the wonderful Fountainhead neighborhood places residents within minutes of just about anything you can imagine doing. Just minutes away you can find any array of shopping and dining establishments imaginable. 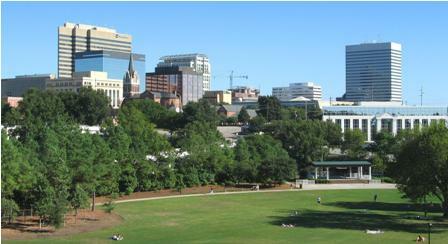 Head in to the downtown area and also find museums, theaters, collegiate activities, parks, and the local zoo. For outdoor enthusiasts, two converging rivers meet on the edge of Columbia, SC offering a variety of water related activities, as well as greenways along some of the rivers. There is also Harbison State Forest and Sesquicentennial State Park offering walking, jogging, hiking, and biking options with the Congaree National Park offering walking, hiking, and canoeing opportunities. No matter what it is you enjoy doing to pass the time, you will certainly find something to suite you living in the Fountainhead neighborhood.